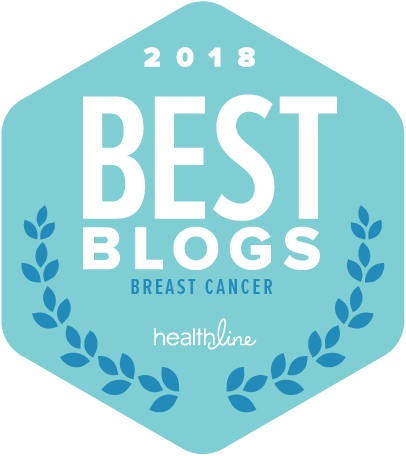 I didn't know what I was going to say today... Today, my final post for the month when we are supposed to be throwing our support behind other cancers. NOT breast cancer. It is my sincere hope that October 2012 will not be yet one more year where we hear much, see much and after 31 days of Official pIN(k)SANITY, find ourselves standing at these very same crossroads having not really DONE much. My #BCSM twitter group is cooking up plans to #RedefinePink. 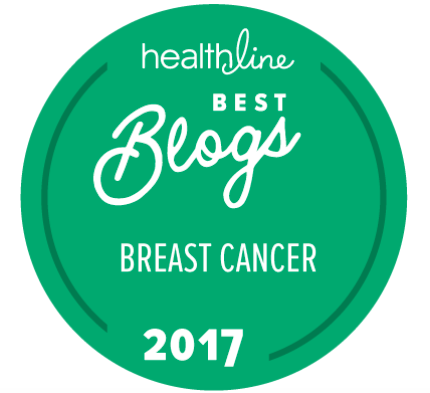 There will be a hashtag for the metastatic community. Those on twitter will begin to see #MBCAware emerge in the tweet streams. I liked the way one of the mets patients began to reply to some misinformed tweets using #GetReal .... Hint. Read yesterday's blog and you might figure out who was sending out the misinformation. A suggestion to the twitterverse? Let's all use the same hashtags. I'm not going to stand on a bully pulpit and suggest what hashtags should be used but if we stay on point by promoting one hashtag for each "thing" that needs to be addressed, we will gain fair more visibility. Just thinking out loud. Feel free to use the comments to share. ONE voice. We need one voice. One very loud, extremely focused collective voice. I may not be able to do the focus part so well, but loud? Hell yeah, I can do loud. Last year we did lots of talking. We are in the same place with the pink ribbon nonsense. Not okay. Awareness? Done. No need to turn Facebook pink or discuss bra colors. Been there, done that, got the T-shirt, nicely filled compliments of a highly skilled surgeon. thankyouverymuch. I'll pass on that. We all know about breast cancer. The metastatic patients need #FearlessFriends. They most assuredly deserve more than one damn day in the midst of the craziness. I've said this in prior posts. We triage. Stage IV FIRST. First, we insist that research to save lives, their lives becomes a huge priority. I've watched too many die, I watch too many more suffering, I watch still others hoping they remain NED and their drug cocktails continue to keep the disease silent and the rest of us? We should be watching over our shoulders knowing fully 30% of early stage cancers will turn. Some of us will be betrayed again by our bodies. One collective voice. This year, the static and the noise and the distractions will be amplified. In addition to the insanity of Pinktober we can pile the political rhetoric on to this heap. Emotions are running high and they will be at a fever pitch five weeks from now. Put on the blinders, tune in that station and lower the noise in the background. Let's remember we are all on the same team. We will choose a president. We will choose our religious path including the path of no religion. We should choose to see that the money thrown at pink is spent wisely because we most certainly did NOT CHOOSE to be indoctrinated into this club. Now, if you will excuse me. I have to pack some clothing. I was invited to a yoga retreat for cancer patients. I will spend two days tuning out so I can return on Sunday evening recharged and ready for whatever gets thrown my way. Huge thanks to the Foundation for Living Beauty in California for arranging this first ever East Coast weekend which is being co-sponsored by The Retreat Project. Extra special thanks and huge hugs to my friend Deb who also volunteers with DSLRF for sending me the information about this weekend. For Deb......I should have thanked you on the phone last night but alas, I couldn't hear you! It should have been my big mouth that was muted on that call.... not yours! The calm, centered breathing begins now. Now to keep the damn iPad disconnected........ And no, I can not travel without my technology. Or my chocolate, either. Hold your horses on the pink stuff. We aren't quite there yet. It's still September. Let's have a little respect. It's not Pink. Not Yet. I have come to learn lots about what it means to be a previvor and how to calculate a proper risk factor. Last year, when I came upon the chart below, I was troubled. This year, even more so. I am part of what is a family cluster of disease. Although both of my BRCA genes have mutations, they are of unknown significance. And my mom has no mutations at all. One of my sisters matched one of mine. On the genetics front, it certainly seems like my family cluster could be a mutation they have not yet identified. I have two sisters. In four first degree relatives, we have what amounts to five breast cancer diagnoses? Mainly under age fifty, pre-menopausal. Not really great. In the past year, I learned much about what it means to have to watch with vigilance. I had choices. I had to make decisions. I also had a cancer diagnosis. I agonized over my decision. I hated that I was making a conscious choice to permanently alter my body. Today, I know it was the right choice but still, it hurts. Emotionally. Why? Who the hell knows. I can intellectualize and come to a clear, rational and logical place. Try getting the brain and the heart on the same page? Some days yes... others, not so much. Those with NO diagnosis who are still faced with difficult choices have it far worse. No disease. Yet. Possibly no disease ever but it's a game of russian roulette. The thing with the previvors? It's not a single bullet in just one chamber. It's more like the reverse. It's bullets in all BUT one chamber. I have become quite close with some who have been in this most difficult place and my heart aches for them. I mark today because a label has been placed upon my daughter and upon my nieces, too. Previvors. Today is their day. I don’t WANT them to have a day. At least not THIS day. I want them to have birthdays, graduation days, wedding days... not days of potential gloom. They all fall into the strong box on this chart. And they will stay in that strong box until research finds the key to unlock whatever mysteries lie just beneath the surface. Until research finds a way to make prevention a reality. I have a vested interest in pushing this agenda. It's the entire next generation. It's my daughter. I don't want my heart shattered like my mom's was shattered. I know mom felt worse than I did when she heard "cancer" -- once, then twice and then barely dodged the third bullet. Three daughters. Three "situations." I don't want to put that shoe on my foot. So I will continue to push. There is no other option and it IS just that simple. When I walked through my door last Friday, two things were waiting for me. The first, a box delivered by Fedex. The other, a letter delivered by the post office. When the letter from the IRS was the highlight of the day and brought me greater joy than the box containing the coveted iPhone5 ON RELEASE DAY..... that says a bit about a not so great day. What happened? Frankly, I was blindsided. I'm okay today, but on Friday? Not so much. Was a time I would joke about PTSD. I'd goof around about how I was great in a crisis, WHILE the crisis was unfolding and throughout the duration. Then, once the winds calmed, I was simply done. Good for nothing, DONE. Stick a fork in me, DONE. Just. Done. I know lots of what I say may be redundant but for those who may not have heard in prior rantings, I am involved in lots of "stuff." Perhaps, too much at times but for the moment, as that saying goes, "it is what it is." And whatever "it" is, all of it means lots to me so none of "it" is being cut loose. And all of "it" began at the hospital where I was treated. And part of "it" involves volunteering at the hospital. If one person is a teeny bit less fearful because I was able to just listen and share my own fears, I'm making sense out of the senseless. Cancer. It's a sucky word to wrap your brain around and I've said this before, when you are the one in the gown and the word cancer hits the airwaves, the oxygen is sucked right out of those airwaves. Time passes and it becomes a part of the tapestry of our lives. I made great progress this year. SIX years ago, I was on the runaway train. Every year, those dates would be looming .... every single date .... big deal dates and no so big deal dates and every date in between. For me, no dates were more difficult than diagnosis date and big surgery date. July 27 and September 19. 2006. Last year, they mattered. Lots. In 2012, as those dates approached, they were nothing more than the next days on a calendar. Both days, it was after 7PM before I realized, "Big Date" (and not "hot date" kinda big date either...if you know what I mean). That's huge. In the scheme of moving beyond and into the next phase of whatever one likes to call this, definitely HUGE. For the record..... some might call it their cancer journey and in many respects, it is a journey. Most of the time, however, it felt more like an obstacle course or a collision course. Now, it's just part of who I am. The most important word? PART... I am not my cancer. Cancer does not define me but cancer has shaped who I am today. It has carved the direction of the path upon which I travel. I have my moments. I do not like living while looking over my shoulder which happens at times. It goes with the territory. It's the haunted house. Never know when a ghost might jump from behind a corner, always when least expected. Last Friday, a ghost jumped out at me. I was at the hospital visiting patients. I fully expected it would be a quiet day. The social worker leaves me a list of patients and room numbers. I don't just walk around arbitrarily and decide if I should pop in for a chat. Everything is on one floor. It's the breast cancer floor. It's M10. Only four patients on Friday, September 21 and as approached the first two rooms, I skipped past. One woman was sleeping and the other had medical staff at her bedside. The other two patients were in the same room. Rarely does it happen that I visit both patients in a room. Don't know why but last Friday was only the second time that happened. As I glanced at the sheet and began walking toward the room, I felt a flood of emotion consume me from head to toe. Something began firing in my brain. It was the numbers on that paper. It was the date, it was the room number, it was a FULL BLOWN flashback. I was having a PTSD flashback. I realized it was the anniversary of my discharge from the hospital. On September 21, 2006, I walked out of the hospital, my body forever altered in ways that still mess with my mind. The person who walked through those doors on 9/19 didn't resemble the woman who exited the same doors on 9/21. As those thoughts were racing through my brain, I approached that first patient. I walked through the door and into the room and there was an eerie familiarity. I was in my room, that was my bed, MY side of the room. I visited, we chatted and ultimately, I stepped on to the elevator and blinked back the tears. I walked the corridors to the exit of the building, swallowing the lump in my throat. I got into my car in the garage, willing my body to cooperate until I could get myself and my car home in one piece. Can't drive with tear-filled eyes. When I arrived home, I stopped fighting the tears. I've come far, but clearly, one never knows when something will trigger those overwhelming emotions. It wasn't being in the hospital, it wasn't walking into that room, it just WAS. Because it IS. And because it will always BE. There. Lurking. I let my guard down. I was confidently past those big days. Until I was blindsided. There's a lesson in there somewhere but I don't think I'll ever learn that particular lesson. It's one over which I'll never have control. Once betrayed by my body, these moments will happen. And they will be just that. Moments. And today? The moment has passed. As for that letter? A huge thank you to the IRS for their letter of forgiveness over my screw up with a payroll tax deposit. Years of impeccable pre-chemobrain reporting got me a pass. The phone? Still sitting in the box. Maybe tomorrow. DSLRF is looking for all of the bloggers to join together on October 1 to pledge to Blog with Love, to Act with Love. And it poses a question. 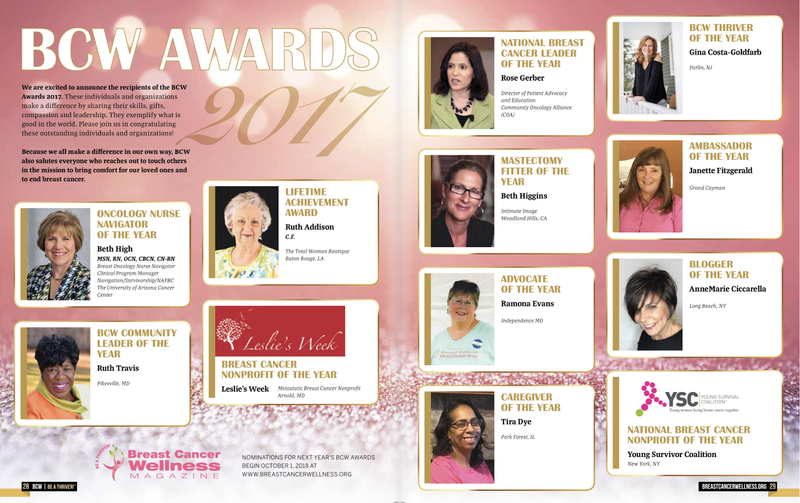 "How will YOU make breast cancer history?" Lots of play on words going on but I can assure all, we ain't playin' anymore. We are going to make breast cancer history by making breast cancer history. Not a blogger? No problem..... there will be a link for you to share in the FunFest on Facebook. (I know.. I KNOW.... no FB link... It will be here on Monday.) We're in it to END IT. And we're all in this thing together. In one week, on October 1st, you will know HOW. The world will be introduced and we should begin to see things start moving. HOW? Health of Women study. THAT is HOW. Breast cancer awareness month will begin in one week. Last year about this time, I sat beside Susan Love and listened to her say "We are sufficiently aware." A-freakin-men. We are aware of the disease and we are all passionate about seeing change. Each and every one of us will be able to play a small role in being a part of that change. HOW is a groundbreaking initiative that will involve all of us... directly.... anyone over the age of 18, ANYWHERE in the world. WE are the puzzle pieces. We will be able to provide information and perhaps some common threads will begin to emerge. The goal is the same goal that Dr. Love has been about for decades. End Breast Cancer. You can read more about it by visiting healthofwomenstudy.org. I will share more about this next week as part of my pledge. DSLRF is about to turn current research practices on its head by facilitating a way for true global collaboration. I know I beta tested the first module and I think a few randomly chosen members of the Army of Women were invited to join the study last week. Cat's out of the bag and by next Monday, before jumping on the pink bandwagon, first DO something. NOW you know HOW. 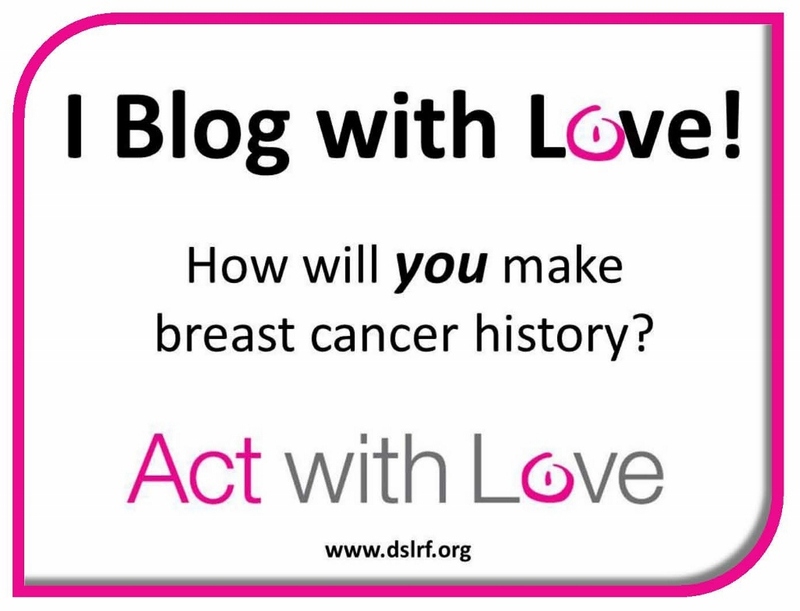 HOW will make breast cancer history by making breast cancer history! I have a new mantra. Wanna hear it? "Those who can, should and those who know, MUST." We Can AND We Must. Like I said. In - It - To - End - It. Let me show you HOW to be a part of history. What makes my blood boil is there are so many cancers and it is insulting to other cancer patients that breast cancer gets all the attention. Because its breasts! September is awareness month for many cancers. NOT breast cancer. Yet, we're all geared up as we've seen in the past couple of posts. I have come to befriend an woman who was a childhood cancer patient. We met on twitter and it was partially because she was very interested in the ongoing mention of #FearlessFriends. Those of us in pink align ourselves as fearless friends beside our sisters with Stage IV disease. For EVER. Fearless. Making Noise. I want to share this fearlessness. Stephanie Zimmerman is one of the founders of an organization called My Heart Your Hands and Stephanie's story is one everyone should hear. I am a volunteer at a cancer hospital. The pediatric patients have their own floor, their own world and that floor is OFF LIMITS. If you aren't a patient, a parent or an employee on that floor, you need a damn good reason to get through the doors. The children are well taken care of throughout their treatment. I know they do the same at St Jude's and I'm sure similar models are in major cancer centers and hospitals all over. Childhood cancers are the cruelest cancers of all. ONCE, in all of the time I was in the hospital, did I encounter a child in treatment. This image was burned into my brain. Pushing a baby in a stroller, cradling a toddler on her hip and holding the hand of a little girl donning a mask and a cap, I can still hear the soft cries and this mom soothing one of those children. I don't know how she happened upon that particular scan area, but THAT mom? I can still cry when that scene pops into my head. Another one I will take to my grave. Ending the week, apparently, the same way it began. I'm turning this over to Stephanie, in her own words, to tell her own story about what it's like to be a cancer patient at the ripe old age of EIGHT. It's what happens afterwards.... long after the cancer is cured (they do use that word). It's a reality that must be shared and it's why we must insist on better research across all cancers. We must let people know the importance of participating in clinical trials and research studies. We must honor those who FEARLESSLY choose to donate their organs. And it's why I am a #FearlessFriend Now Too, to Stephanie and to all who walk this path, this MOST difficult path. Let me begin by saying that I am an ordinary wife and mom doing life in the metro Atlanta area, but my life has been extraordinary. Even so, you will find that I am more like you than not as you get to know me. I was diagnosed with Ewing's Sarcoma, a rare form of childhood cancer, at 8 years of age when cures were not thought possible, especially in children. My parents were told that I would likely die within 6-12 months; however, they were offered treatment as part of a clinical trial. Believing they had nothing to lose yet everything to gain, my parents agreed to enroll me into a prospective, randomized clinical trial investigating dosing and scheduling of the chemotherapy. I completed 21 months of treatment comprised of 30 radiation treatments to my left chest and chemotherapy consisting of Vincristine, Cytoxan, Actinomycin-D, and Adriamycin. To my knowledge, I remain the sole survivor of a study that has been instrumental in determining today's best approach to the treatment of Ewing's Sarcoma in the child diagnosed today in 2012. During my treatment days, I found myself desiring one thing, the company of a fellow traveler. In a day where cures were not common, such fellowship was not readily available. 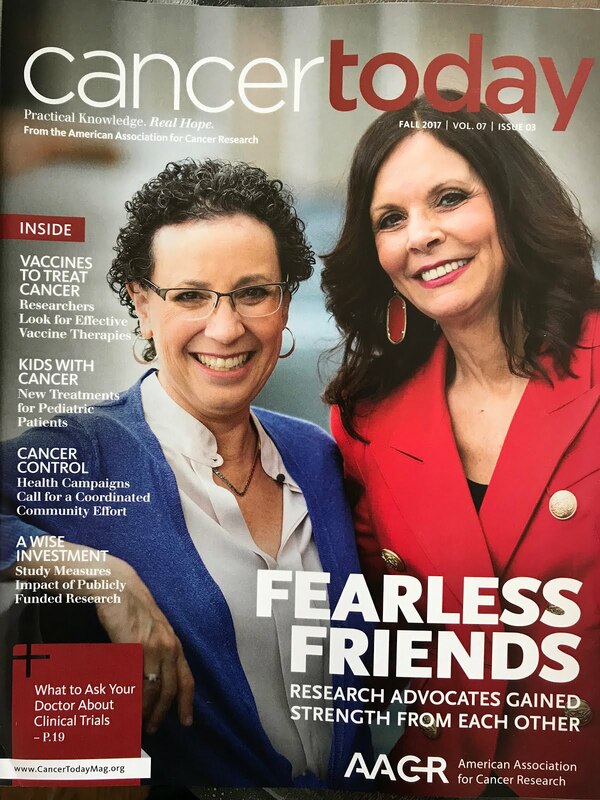 Compelled by that desire, I chose to enter into clinical practice first as a bedside nurse, then as a nurse practitioner serving children and families facing childhood cancer. I believe that my lived experience enlightened my clinical practice and the children and families I cared for were well served by the fact that I was a survivor of childhood cancer though it was the few who were privy to my medical history. My life story includes marriage to my college sweetheart and the birth of our son who quite candidly is the child I was told I would never bear. The reality is that cure[s] do not come without consequence[s]. The treatment that I received left significant and irreparable damage to my heart, lungs, musculature, my shoulder girdle, and my left chest wall. In particular, the combination of chest radiation and Doxorubicin damaged my heart's ability to “squeeze” blood to the rest of my body while leaving my left lung fields “whited out” with fibrotic/scar tissue. I have a significant curvature in my spine due to the unilateral radiation of the tumor bed, my shoulder girdle is deformed due to damage to my collar bone such that it rotates inward and forward causing 'winging' of my left shoulder blade, and my chest wall underdeveloped and collapsing the upper lobe of my left lung. Our son, a babe I was told would never be because my heart would not be strong enough is our joy boy. He's lived a lifetime in 9 years filled with one trial after the next, yet his joy is abiding because it is not grounded nor dictated by circumstance. Amazingly, my heart functioned normally throughout my pregnancy and only towards the end of my term did my lung capacity diminish, yet despite the challenges, we welcomed our son to LIFE in April 2003. My heart spit and sputtered with the post partum diuresis that takes place, but was managed medically and I bounced back to normal. Normal in my world is likely abnormal in your world. Essentially, my heart function bounced back to 30%, my normal, compared to 60-65% most people's normal. It was in 2006 that I was counseled that my heart function was slowly declining and the recommendation was made that I undergo valve repair surgery in the hopes that my heart muscle would then be able to function at a higher level. I underwent that surgery in 12/2007 at the Cleveland Clinic in Cleveland, Ohio. The surgery was successful in restoring the heart valves to optimal function; however, I did not recover as my heart muscle became nothing but a flutter with about 5% squeeze in early February. By mid-February, my body became refractory to medical therapy and we learned that my case for transplant locally had been declined. I was admitted locally for the last time in mid-April with end stage heart disease one week away from evaluation for heart transplantation at the Cleveland Clinic. Life-flighted to Cleveland on 4/19, submerged into a coma, then placed on ExtraCorporeal Membraneous Oxygenation support and listed with UNOS** as a status IA [life expectancy less than 30 days], I received the gift of an opportunity at continued LIFE through the death of a 17 year old young lady who checked “yes” at the Department of Motor Vehicles. Today, I find myself once again compelled to give of my heart, my LIFE into the hands others that they might take heart and glean some benefit as a result. This life I will live is full of hope and future and inasmuch as my heart is not my own, neither is my life. To that end, I have joined hands with Judy Bode who lives the daily reality of a heart now failing secondary to radiation therapy used to cure her of Hodgkin's Disease as a child in the founding of myHeart, yourHands Inc.
Our battle cry is late effects of cancer therapy. myHeart, yourHands is a not for profit aimed towards raising awareness regarding the potential late effects of cancer therapy among ALL cancer survivors and the frontline healthcare providers charged with their care as well as to inform the population at large about the critical need for registered organ donors. I invite you to visit us at www.myheartyourhands.org and I thank you for your thoughtful consideration of our stories in relationship to your network. Late effects of cancer therapy? I can make a joke about my worsening chemobrain..... or I can let Steph's words stand alone. People are in dire situations from the treatment that "saved their lives." It's no joke. We simply MUST do better.